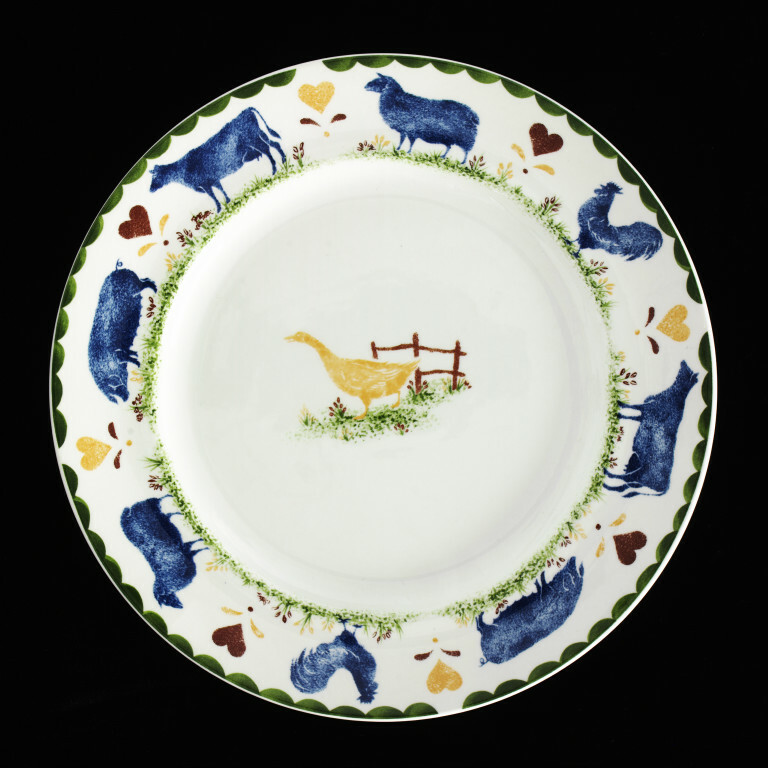 Plate of earthenware, of 'Continental' shape, and decorated in the well with a duck by a fence, and around the flange are farmyard animals (cow, cockerel, pig and sheep), printed in yellow, brown, blue and green in imitation of hand-sponged decoration. Part of a group of tableware C.173 to 176-1997 selected at the International Spring Fair, NEC, Birmingham, 1996. Plate of earthenware, of 'Continental' shape, and decorated with 'Jack's Farm' pattern designed by Gillian Bailey ca. 1996, made by Wood & Sons Ltd., Burslem, 1996.